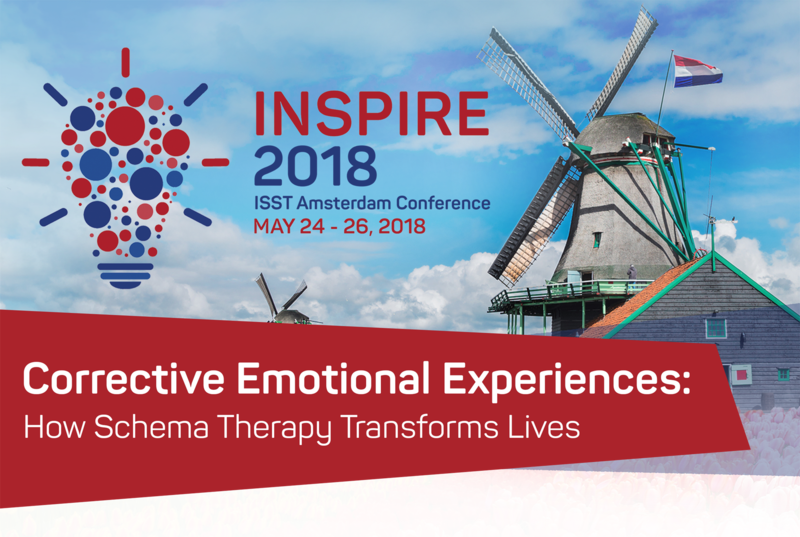 The ISST Executive Board is happy to announce the call for scientific and clinical presentations for INSPIRE 2018 in Amsterdam. We are inviting researchers and practitioners, both experienced and newer to the field, who are interested in strengthening the scientific and practical foundations of Schema Therapy. If you are a practicing Schema Therapist, or in training, or if you are studying or doing research in Schema Therapy and want to introduce your ideas and/or research results, we invite you to submit a proposal for our Scientific and Clinical Program. We encourage presentations by both experienced and early career professionals and students. Individual Papers: presentations on a clinical, theoretical or research topic with a typical time allocation of 10 minutes. Poster Submission: a 4’ x 8’ poster for public display intended to summarize research. Poster authors are required to attend their assigned session to present their work. Films and video/digital materials related to Schema Therapy can be presented on a special session with the author’s comments or on the monitors in the lobby in a continuous play mode. The Author submits the brief description of the video material (educational, training, promoting, biographic, client sessions, research illustrations, cases, etc. ): video/digital format, purpose, timing (max. 15 minutes), structure, (300 words or less). We aim to review and notify accepted poster presenters by mid February 2018. NOTE: All visual materials should have appropriate measures taken to ensure patient anonymity and/or have obtained informed consent. Only complete submissions, which include presenters’ short bios and pictures, will be evaluated.